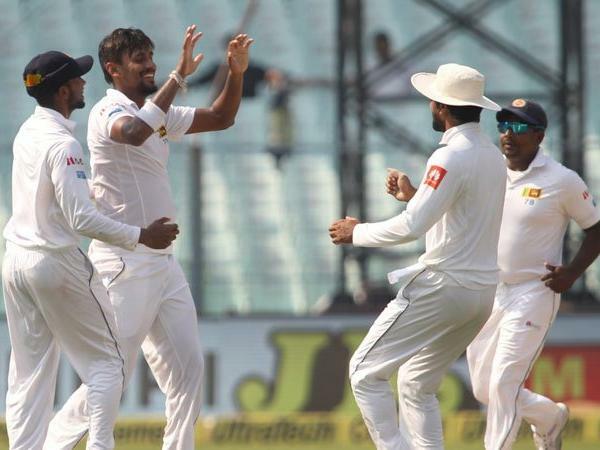 After winning the first Test, there is option has come to the Sri Lanka cricket team to win the Test series. They secured the Test by winning the first Test and through that they just avoid losing Test series. Now, they had still one match in Hand. By winning them, the Lions had a chance to win the Test series against Proteas after a long time and they finally did it. They won the 2nd match and through it, Sri Lanka won Test series against Proteas. The 2nd match started in 20th July, 2018 and the host ground was Sinhalese Sports Club Ground, Colombo. South AFrica had a chance to avoid series defeat by winning the 2nd match. They tried to win the match but finally faced a big defeat. Sri Lanka won the match by 199 runs against South Africa. Earlier in 20th July, 2018 the match between the started where the local team won the toss and made a wise decision. They took bat first. They opened the 1st innings very good. Gunathilaka and Karunaratne started the innings very good. They made 116 runs partnership where Gunathilaka scored 57 runs and Karunaratne scored 53 runs so far. Just the 1 run difference, Sri Lanka lost two openers. Later, De Silva came up and scored 60 runs so far. AMong rest players, Dananjaya remained not out with 43 runs and Herath scored 35 runs so far. They played 104.1 overs and scored 338 runs so far. In the meantime, they lost all wickets. Maharaj took nine wickets in the first innings for South Africa and the rest wicket was taken by Rabada. Later, South Africa came to start the first innings. They once again failed to made big score but getting all out scoring 124 runs so far. Just four players made it to two figure runs where Du Plessis scored 48 runs highest and De Kock scored 32 runs so far. Basically at the away venue, especially in Sri Lanka, their batsmen failed to show dashing performance. Dananjaya took five wickets and Perera took four wickets in the 1st innings for Sri Lanka. Later, in the 2nd innings Sri Lanka once again played well. By losing five wickets the Lions scored 275 runs in exchange for five wickets and then they declared the innings. Gunathilaka scored 61 runs, Karunaratne scored 85 runs and Mathews scored 71 runs so far. Maharaj took three wickets out of five this time. Proteas played almost well this time but not enough to beat the Lions. De Bruyn scored a century in the 2nd innings but scoring 290 runs, proteas lost all wickets. Herath took six wickets for the Lions in the 2nd innings.